Two separate homicides, at different locations, with unrelated victims, have more in common than just being investigated by Boston PD detective Jane Rizzoli and medical examiner Maura Isles. In both cases, the bodies bear startling wounds—yet the actual cause of death is unknown. It’s a doubly challenging case for the cop and the coroner to be taking on, at a fraught time for both of them. As Jane struggles to save her mother from the crumbling marriage that threatens to bury her, Maura grapples with the imminent death of her own mother—infamous serial killer Amalthea Lank. While Jane tends to her mother, there’s nothing Maura can do for Amalthea, except endure one final battle of wills with the woman whose shadow has haunted her all her life. Though succumbing to cancer, Amalthea hasn’t lost her taste for manipulating her estranged daughter—this time by dangling a cryptic clue about the two bizarre murders Maura and Jane are desperately trying to solve. But whatever the dying convict knows is only a piece of the puzzle. Soon the investigation leads to a secretive young woman who survived a shocking abuse scandal, an independent horror film that may be rooted in reality, and a slew of martyred saints who died cruel and unusual deaths. And just when Rizzoli and Isles think they’ve cornered a devilish predator, the long-buried past rears its head—and threatens to engulf more innocent lives, including their own. New York Times bestselling author Tess Gerritsen earned international acclaim for her first novel of suspense, Harvest. She introduced Detective Jane Rizzoli in The Surgeon (2001) and Dr. Maura Isles in The Apprentice (2002) and has gone on to write numerous other titles in the celebrated Rizzoli & Isles series, most recently The Mephisto Club, The Keepsake, Ice Cold, The Silent Girl, Last to Die, Die Again, and I Know a Secret. Her latest standalone novel is the thriller Playing with Fire. 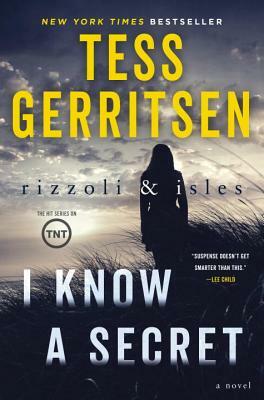 A physician, Tess Gerritsen lives in Maine.